A new Kia Optima SX-L arrives next year, with Nappa leather and a sueded headliner. It's the plushest Optima yet, if the 2013 just doesn't soothe all your senses. The 2013 Kia Optima adds generous dashes of style and sophistication to what's otherwise a sensible, frugal, and spacious mid-size sedan. Kia has pulled off a brand transformation, faster than virtually any other brand has done it; and the Optima was crucial in that. Completely redesigned in 2011, the Optima went from bland and shapeless to one of the best-looking sedans in the mid-size class. It came with sophisticated new drivetrains and excellent handling, and Kia went suddenly from the outfield into the heat of the competition. Today, the 2013 Kia Optima is still one of the most handsome vehicles on the road, and in many cases, the rest of the segment is still playing catch-up with this sleek, well-equipped sedan. Though rivals like the Ford Fusion, Honda Accord, and Nissan Altima are new this year, at best they meet the Optima's racy look head-on. 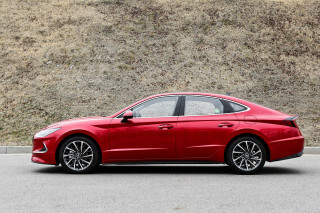 Its crisp, distinct styling direction is nearly the opposite of the more exuberant, sculptural look that's all over the Hyundai lineup and the Sonata sedan, which is closely related. With sporty, European detailing, a low roofline, stretched headlamps, and a nifty upkick in back, it's focused and exciting, with an athletic stance and some flashy wheel designs. Inside, the Optima doesn't make waves in the same way, but it's a classy, minimalist cockpit look, reminding us of Audi's interiors of a few years ago, with a wide rectangular bank of controls canted toward the driver. There are three different performance flavors for the Optima--all including a four-cylinder engine under the hood--and each of them caters to a different type of driver. Base cars have a 2.4-liter four-cylinder with direct injection, 200 horsepower and just a touch of unremarkable noise and vibration when it's wound out. A manual six-speed is offered; we've tested the six-speed automatic, which teams expertly with the four. On top of the complexity curve is the Hybrid, which teams up the basic four-cylinder with electric motors and batteries that, in our opinion, could use more work on smoothing and integrating the juddering that sometimes comes at midrange speeds, when the hybrid drivetrain drops gas power to operate on electric charge alone. With all powertrains, highway gas mileage hits a minimum of 33 mpg in turbos, with four-cylinders hitting a stellar 35 mpg and hybrids reaching to a rated 39 mpg. We've had difficulty hitting the hybrid's high-water marks, but the basic Optima offers repeatable, real-world gas mileage that's tops in its class, and equal to some economy cars. No matter which engine you pick, the Optima rides and handles well with its independent suspension, giving the Optima a quick, nimble feel. Key to that is electric power steering that's somehow tuned in a more agreeable way than that of the Sonata; it feels precise yet requires fewer small adjustments on the highway. Ride quality is on the firm side, but comfortable enough, and quiet over coarse surfaces. The Optima's interior offers good back seat space--enough for three across--although the roofline can make getting in and out a little harder. Front seats in the Optima also have flat, short cushions, which can cut into the kind of long-distance comfort that the Accord delivers mile after mile. But with heated and cooled front seats available--heated back seats, too--the Optima and the back seats can be heated, too. With top safety ratings from the IIHS (including the new Top Safety Pick+ rating) and the federal government likely to carry over, the 2013 Kia Optima is one of the most secure family-car picks. A Bluetooth interface is standard, a rearview camera system is available. Across the lineup, in fact, features remain a strength. 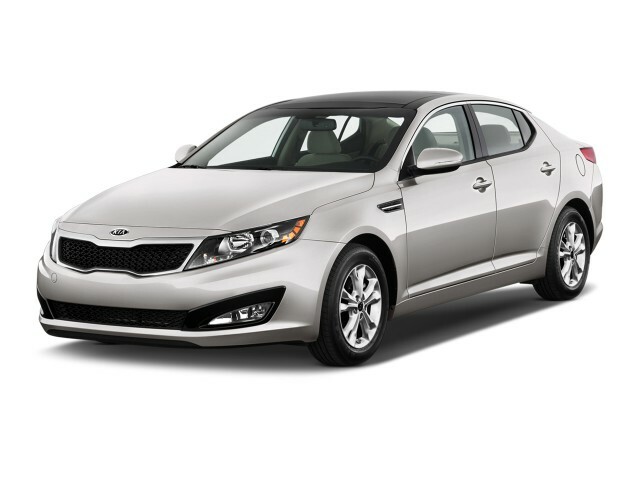 The 2013 Optima is a strong value, with standard power features, cruise control, a USB port and satellite radio. Even mid-level EX trims get things like dual-zone climate control and a smart-key system, with options for leather trim, a panoramic sunroof and Infinity audio. Infotainment is the only weakness of the Optima's feature list. UVO, Kia's flavor of the Microsoft-written software also sold as Ford's SYNC, has fewer voice commands than the Ford system, but the issue is that if you want this system, you can't get the navigation system. And if you get nav, you instead get the same simpler Bluetooth system that base Optimas have. UVO gets replaced in the 2014 model year by a smartphone-driven system; it's the one reason you may want to look ahead to a newer Optima than this one. Crisp, focused details and a smooth, Euro-influenced profile make the 2013 Kia Optima one of the best-looking mid-size sedans. The 2013 Kia Optima has some of the same proportions as rival mid-size sedans like the Toyota Camry, Honda Accord, and Volkswagen Jetta; but thanks to a finessed profile and more importantly a set of crisp, edgy, and well-coordinated details, the Optima looks original as well as far sportier than most other cars in this class. 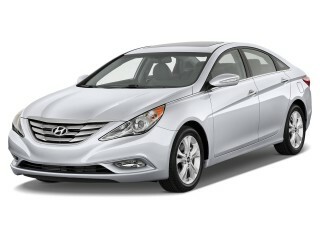 While the Optima remains very closely related to the Hyundai Sonata, it couldn't be more different on the outside. The Optima's trim, somewhat Euro-influenced look is the polar opposite of the exuberant aero look that's all over the Hyundai lineup and in the Sonata. Up close, the Optima has some pleasing, distinctive contrasts, with the rather lower roofline, stretched headlamps, and finely detailed grille. Yet the steetmetal alongside is simple and clean--and not unnecessarily sculpted. The effect is a look that's focused, clean, and athletic yet also laid-back. About the only exterior detail we haven't warmed up to is the side 'vents' (plastic inserts) at the back of the fender--an element of busyness in a design that's otherwise clean and simple. The cabin design and interior appointments are a fine match for the exterior; it's not quite the design standout of the exterior, but a big set of gauges and a wide rectangular bank of controls canted toward the driver amount to a simple, elegant look--somewhat like that of Audis but with a little less polish and a lot less clutter. Some of the materials and trim combinations tend toward the drab side, though. This year may be telling for the Optima. For 2013, with the introduction of all-new versions of the Ford Fusion, Honda Accord, and Nissan Altima--all more daring designs than their predecessors--Kia may be an all-new squarely in the same class with the likes of the Honda Accord, Toyota Camry and a host of other family four-doors, but there's very little square in the Optima's arresting profile. Confident handling and strong, economical powertrains give the Optima a lot of appeal; the Hybrid could be smoother, though. There are three different performance flavors for the Optima--all including a four-cylinder engine under the hood--and each of them caters to a different type of driver. 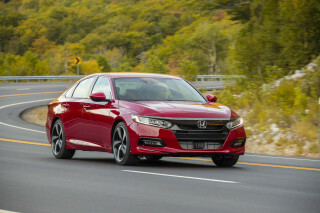 Those who simply want an economical mid-size sedan with decent performance will be plenty satisfied with the base 2.4-liter four-cylinder with direct injection. It makes 200 horsepower, and while it's a little coarse when wound out, you rarely need to visit the high revs as it churns out the torque and works extremely well with the six-speed automatic transmission that most models will have (a manual six-speed should still be available). Performance-minded shoppers--and some of those who would have picked the top-of-the-line V-6 in the past--will likely enjoy the turbocharged SX model, which whistles along with 274 horsepower and paddle controls for the automatic. 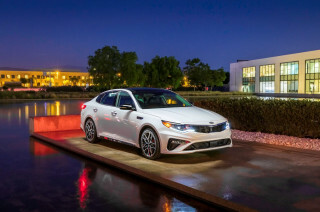 Here also the Optima graduates into a sportier echelon, capable of keeping up with the likes of the With this combination, the Optima's personality into something authentically sporty, if not high-performance--along the lines of the Volkswagen CC or Buick Regal. Meeting the needs of those who want to be as green as possible is the Optima Hybrid, with its electric-motor system and lithium-polymer battery pack that pair with a four-cylinder engine and six-speed automatic transmission (not a CVT). There's been one pretty significant drawback to the previous versions of the Hybrid, even if it did perform reasonably well: Its transitions on and off the two power sources were often downright jarring, and far from seamless. Kia (and Hyundai, which shares the system) have spent time reworking the system for improved fuel economy and better driveability. We'll report back when we get more seat time in the revised model. With all powertrains, highway gas mileage hits a minimum of 33 mpg in turbos, with four-cylinders hitting a stellar 35 mpg and hybrids reaching to a rated 39 mpg. We've had difficulty hitting the hybrid's high-water marks, but the basic Optima offers repeatable, real-world gas mileage that's tops in its class, and equal to some economy cars. The Optima has steering that's a little firm in feel, yet somehow much more confident than that of the closely related Sonata. 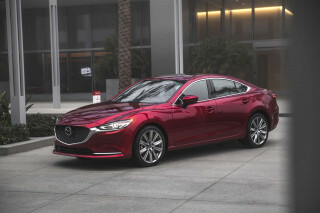 That combined with an independent suspension, giving the Optima a quick, nimble feel--even though if handling is one of your top priorities you'd probably be happier with the Fusion, Mazda6, or Altima. Uncomfortable front seats are the only drawback of a quiet, composed, and roomy interior. The 2013 Kia Optima has somewhat larger dimensions than most other mid-size sedans, and it's one of the roomier picks inside, especially if you're planning to use all its seating capacity. There's actually enough width in back for three across, provided your passengers aren't too tall or wide, and there's plenty of legroom as well as just enough headroom for taller adults. The only caution we've noted is that you might need to duck your head around the doorline's cut for the long-sloping roofline. If you're mainly only going to be using the front seats, think about them; we've found those front perches to be a little bit short and flat, and disappointing for longer hauls as they simply lack enough contouring. In EX versions you do get power controls and greater adjustability, but even with that you can't adjust for height or tilt on the passenger side. On the bright side, heated and cooled front seats—as well as heated back seats—are available on EX and SX models, and we've appreciated this feature in the hot sun. We like the way the Optima rides, in a way that's just comfortable enough for most surfaces, yet firm enough handling and damped effectively enough to filter out coarse road surfaces. Materials in the 2013 Optima tend to be a little drab in some of the combinations, but the matte-black surfaces feel sporty, and the soft-touch leather-like material covering the dash adds an element of sophistication. But there's a lot to like in the layout; audio and climate controls are clearly distinguished with their own knobs and buttons, and even though the instrument panel is canted slightly toward the driver, it's all in easy reach of the passenger. Mostly top crash-test scores highlight the 2013 Kia Optima as one of the safest sedan picks. If crash-test ratings are what count--and they should--it's hard to do any better than the 2013 Kia Optima. With top ratings in every test from the federal government as well as the insurance-funded IIHS, the Optima has an excellent record that's hard to beat. 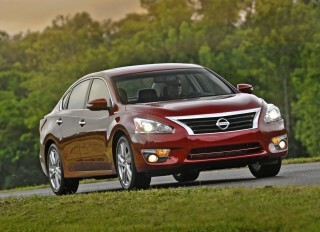 Those scores from 2011 have since been extended to cover the 2012 and 2013 model years for the Optima, too. That includes 'good' ratings in every test category from the IIHS (except an 'acceptable' small overlap frontal score), making it a Top Safety Pick+ vehicle overall. It also earns five-star scores in all tests--including the side pole test--from the federal government. While the Optima is structurally similar to the Hyundai Sonata, the Kia has a number of different details--which, apparently, make a difference here, as the Sonata only manages a four-star frontal score while the Optima achieves five stars. Front active headrests are standard in the 2013 Optima, along with front seat-mounted side airbags and side-curtain bags. So is Brake Assist, and Hill Assist Control, which helps avoid rolling back when starting uphill, and electronic stability control. The 2013 Optima has some extra standard features, as well as options you won't find in other budget-priced models; the limited availability of navigation is the only disappointment. The 2013 Kia Optima remains, like most other Kia models, strong on features as well as value for the money. Standard features even on the base Optima include cruise control, a USB port, satellite radio, and power windows, locks, and mirrors. Even mid-level EX trims get things like dual-zone climate control and a smart-key system, with options for leather trim, a panoramic sunroof and Infinity audio. Heated-and-cooled front seats, and a class-exclusive heated back seat, are available in mid-level EX or SX trims. Hybrid EX sedans get a rearview camera, a panoramic sunroof, heated and ventilated front seats, and Infinity audio standard. Step up to the sporty SX model and you get an upgraded instrument cluster, black leather woven seat trim, French seams, steering-wheel paddle shifters, and lighted scuff plates. Infotainment is the only weakness of the Optima's feature list. 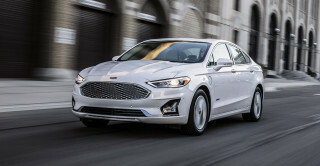 UVO, Kia's flavor of the Microsoft-written software also sold as Ford's SYNC, has fewer voice commands than the Ford system, but the issue is that if you want this system, you can't get the navigation system. And if you get nav, you instead get the same simpler Bluetooth system that base Optimas have—by Parrot instead. Kia is working on one system that integrates it all, but it still won't be available for 2013. The 2013 Kia Optima Hybrid wows with its 40-mpg highway rating; but all the Optima models get great gas mileage. The Kia Optima still gets some of the best fuel economy ratings among mid-size sedans. 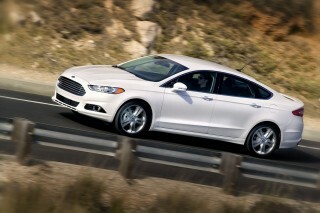 Non-hybrid versions earn as high as 35 mpg--excellent numbers for such a large, roomy sedan. And throughout the lineup, fuel economy for the 2013 Optima is great, especially if you place the priority on highway mileage. 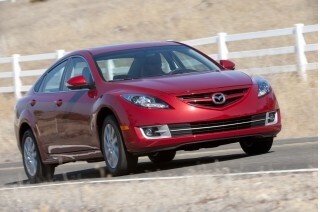 EPA ratings are right up at the top of the class—at 24 mpg city, 35 highway with the automatic, or 22/34 for the Turbo. The Optima Hybrid now earns 36/40 mpg or 38 mpg combined in base trim, now that its hybrid system has been improved--and after an overstatement that was later corrected by the EPA and by Kia (explained below). All Optima models include an Eco mode, which smooths driver responses for better mileage--up to seven percent, according to Kia. The 2013 Optima Hybrid is one of the vehicles found to have overstated fuel-economy numbers. The EPA on a confirmation check found the Optima Hybrid's actual tested fuel economy to be 34/39 mpg or 36 mpg combined--1 mpg below the 37 mpg Combined and 35/40-mpg numbers originally reported. Owners can register with Kia to receive reimbursement for the gas consumed above and beyond expected levels; more details are found at KiaMPGInfo.com. Looking for a different year of the Kia Optima?